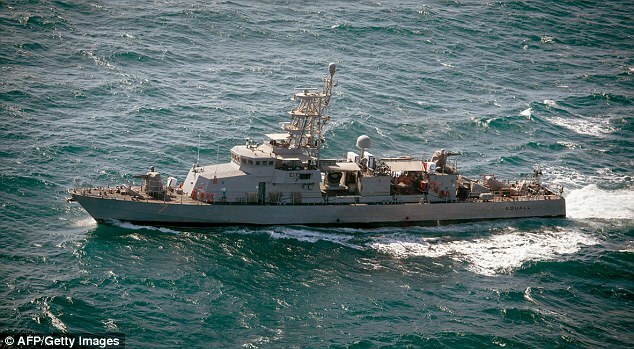 Iran’s defense minister vowed Thursday that any U.S. or other warships that enter Iranian waters would be “severely punished,” as the Pentagon confirmed that a U.S. patrol vessel had fired warning shots after being approached by an Iranian attack boat in an “unsafe” manner. “It is a natural and routine program of the border patrol to do surveillance in the southern waters and to collect intelligence on foreign ships’ operations,” the Mehr news agency quoted Defense Minister Hossein Dehghan as telling reporters in Isfahan. In the latest in a series of incidents in the area, an Iranian vessel approached two U.S. Navy ships Thursday, prompting crew on the USS Squall – a Cyclone-class patrol coastal ship forward deployed to the U.S. Fifth Fleet in Bahrain – to fire three warning shots. The U.S. vessels had initially taken other steps aimed at de-escalating the situation, including the firing of flares. “They felt the need to take an additional step to try and de-escalate the situation, and that was, again, to fire the warning shots,” Cook said. All this is coming about so obama can declare Martial Law right before the elections, it will stop all!! he armed iran, knows what they are doing 24/7……..anyone doubt that?